Diageo has deployed cutting edge technology to create a “smart bottle”, allowing it to monitor a product’s movement and when it is opened, as well as send personalised messages to the consumer. 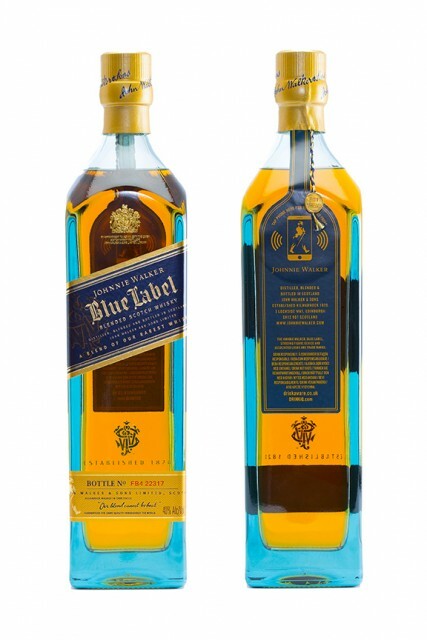 Working in conjunction with electronic printing specialists Thin Film Electronics, Diageo has applied the technology to create a prototype for its Johnnie Walker Blue Label, which will be unveiled at the Mobile World Congress in Barcelona next month. The bottle uses Thin Film’s trademarked OpenSense system in printer sensor tags, which deploys the Near Field Communication capability found in smartphones to track a product’s movement across the supply chain, in-store and to the point of consumption. The technology steps up efforts to tackle counterfeiting by permanently encoding these sensor tags at the point of manufacture in a way that – in contrast to QR codes – their maker claims cannot be copied. The tags also remain readable after the factory seal has been broken and a tap with an NFC smartphone allows the user to detect whether a bottle has been opened. As well as protecting authenticity, the “smart bottle” opens up new opportunities for brands to communicate with their customer. Diageo will be able to use information relayed by this technology to send tailored messages to consumers who read the tags with their smartphone. This might range from promotional offers to cocktail recipes or exclusive content. Helen Michels, global innovation director on the Futures Team at Diageo, introduced the prototype saying: “Mobile technology is changing the way we live, and as a consumer brands company we want to embrace its power to deliver amazing new consumer experiences in the future. This is not for the consumer it is for the supply channel and the bar owner. Consumers will not use this or need it beyond seeing that the authentic product was shipped (and when).